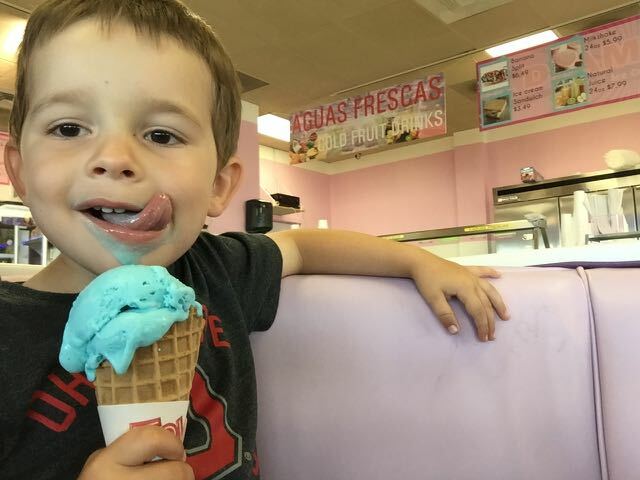 July is National Ice Cream month! 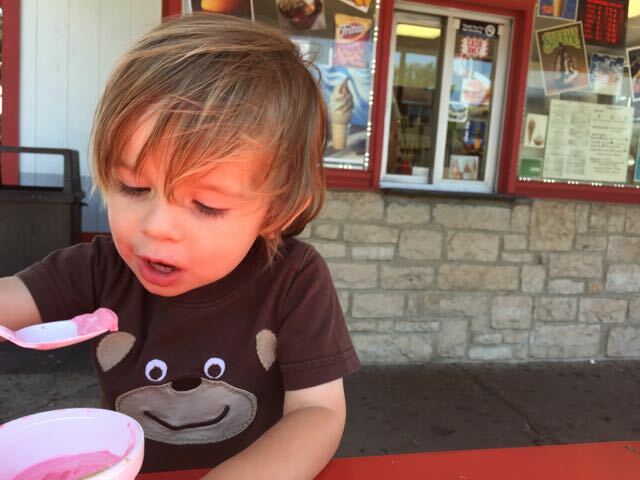 I love ice cream!! 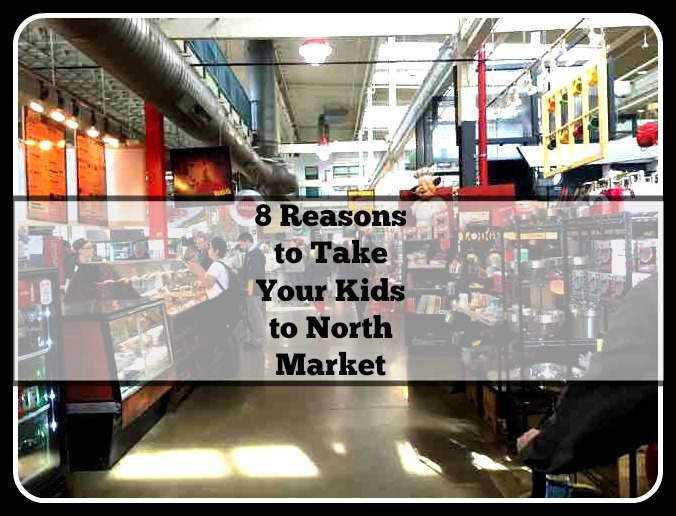 🙂 Columbus has so many amazing ice cream spots and Ohio is home to many nationally renowned brands as well! 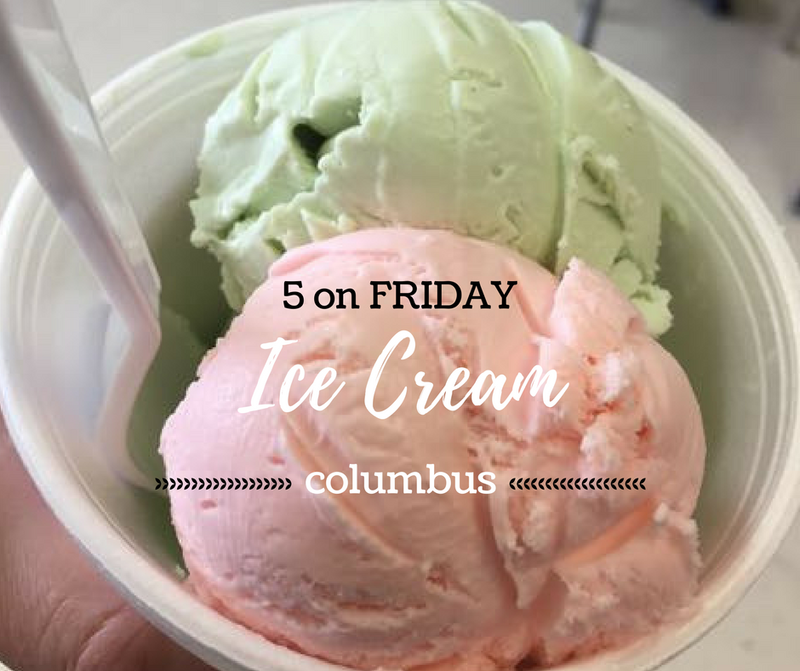 Don’t worry, Jeni’s and Graeters are still some of my favorites, but in this post I thought I’d focus on some unique ice cream spots around Columbus to encourage you to get out and try something new! 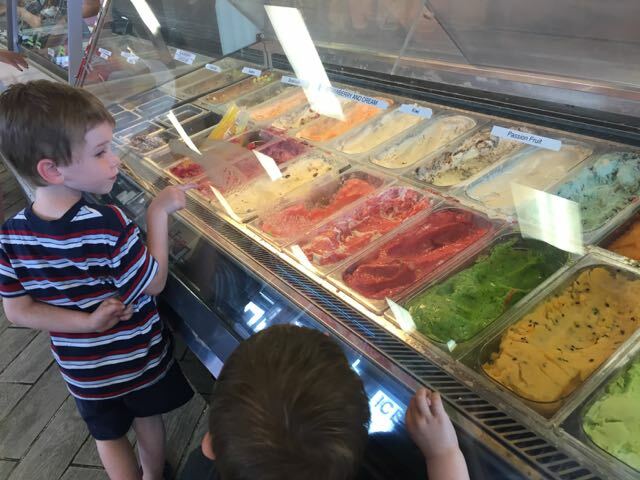 Mardi Gras is a must try for unique and international flavors of ice cream! You can sample anything you want before you choose! I tried an International Sampler and picked Green Tea, Sweet Rose and Pista Kulfi, all of which I enjoyed but I think I liked the Pista Kulfi (a pistachio flavor) the best! I asked to sample the Fire and Ice and couldn’t even finish the small sample because it was truly like fire on my tongue! 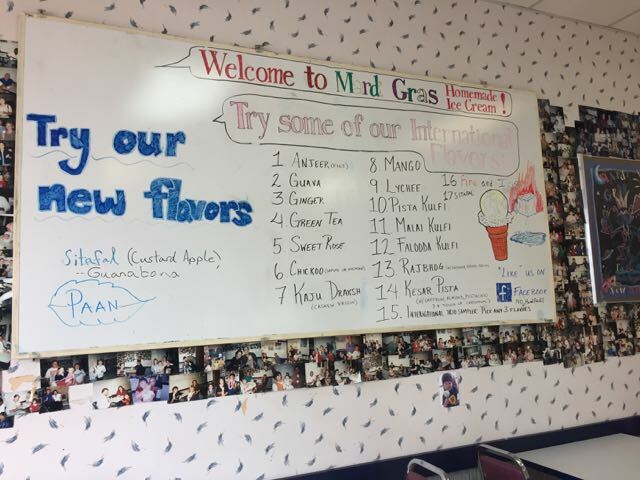 There are plenty of other “regular” flavors to try as well, but I included the menu of their International Flavors so you can see what unique choices there are! Sometimes you don’t know what to expect when you see something nestled into a strip mall and then you walk in the door and say, “Whoa!” That’s what happened to us at Dulce Vida West! 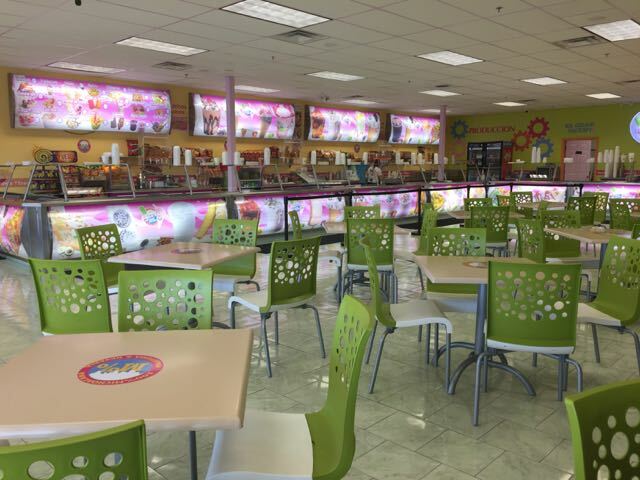 This relatively new, brightly colored Mexican Ice Cream shop is full of options! 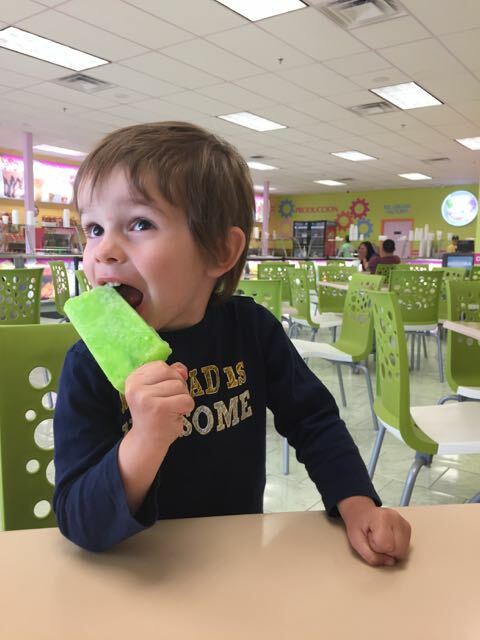 We all tried a paleta, but we’ll be back to explore other options, I’m sure! Other menu items include hand dipped ice cream, aguas frescas, banana split, chicharrones, nachos and lots more! 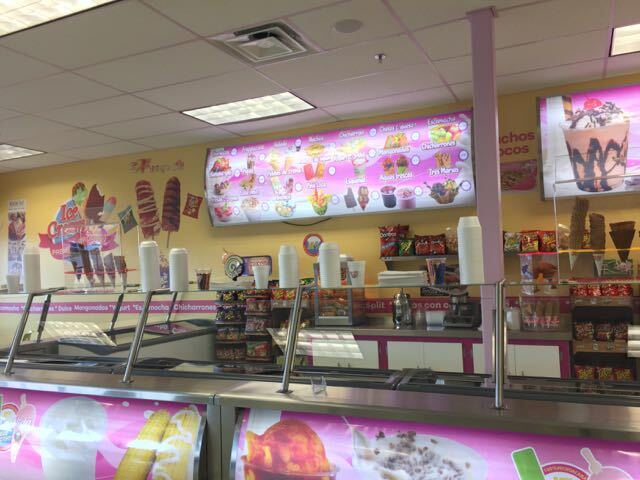 They also JUST opened a location off of Cleveland Ave. just south of 270 in June! You know when you see a picture of some kind of food on social media and it sticks with you, haunting you until you try it? (Oh wait, is that just me? Don’t lie. I know I’m not the only one! 😉 ) Well, that was me with the ice cream cookie dough bars that Cookie Dough Creamery posted on their Facebook page! When we finally made it to the shop, I was momentarily tempted by the idea that I should first try out the main thing: the sundae bar. 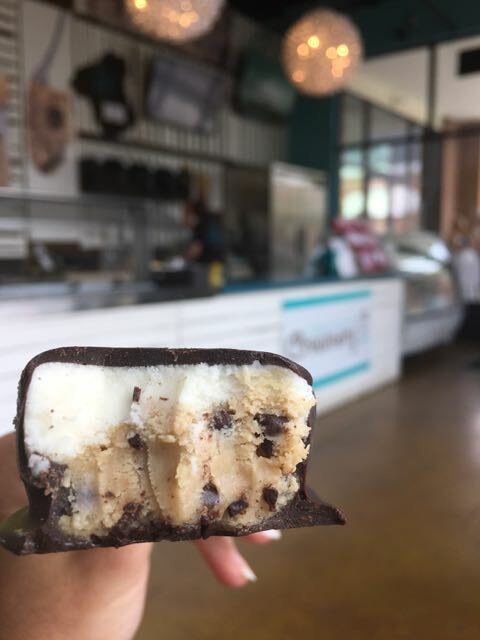 But then I would continue to be haunted by that chocolate covered ice cream bar, so I went with my gut and I was NOT disappointed! So here’s what you do: you pick one of three sizes of bowls (they also have cones) and fill it with as much cookie dough as you want. 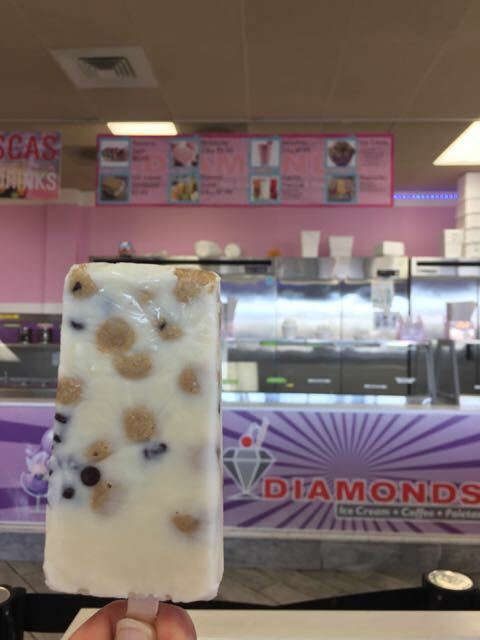 Options included chocolate chip, sugar cookie and cookies and cream, to name a few. 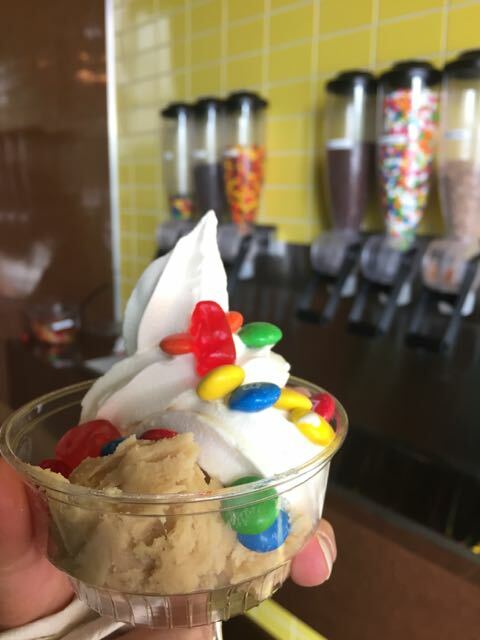 Then you can choose from several flavors of soft serve ice cream and dole whip, and then choose toppings and syrup. There were candy and cereal toppings to choose from. 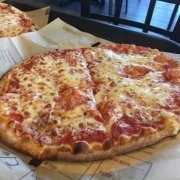 Here’s the best part (well, close to the best – the best was probably the cookie dough!) 🙂 price is per cup, not by weight! So you can cram as much as you can in the size bowl you choose! I helped the boys and didn’t fill them anywhere near as full as I could of (I did want them to take naps afterward! 😉 ) You can see it got two thumbs up! 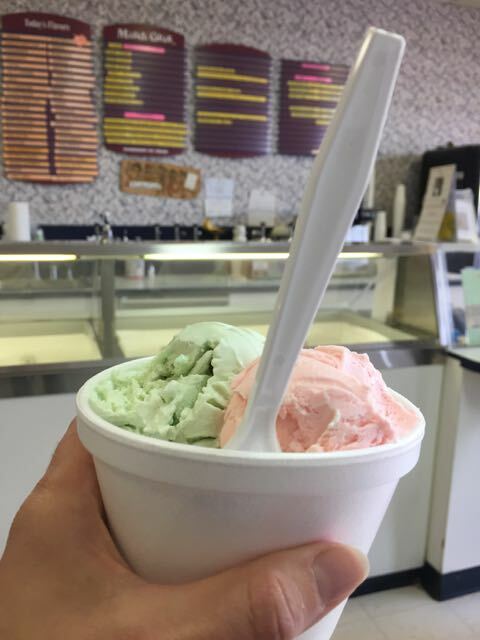 For a long time after moving to Columbus I was in search of a good, old fashioned ice cream stand like the kind I grew up with! Usually a combination of food like creamed chicken sandwiches, burgers, flurries and soft serve, you know the type. 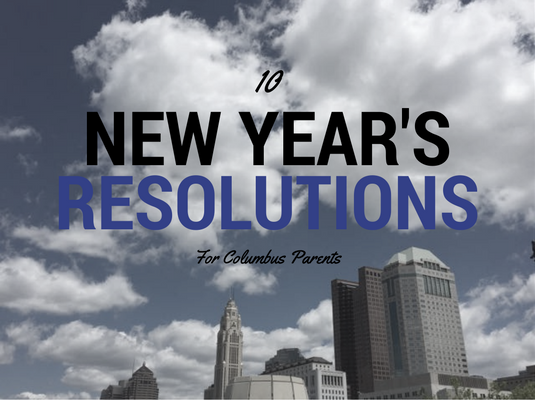 I couldn’t find anything like it in Columbus! 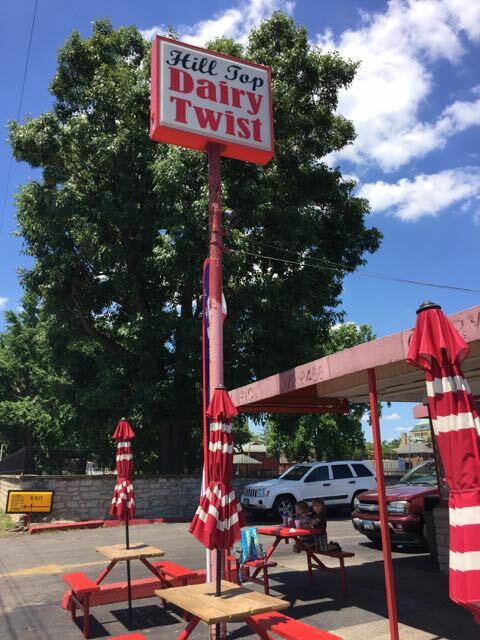 A few years after moving here, I was meeting with a client on the west side of town and I would drive by the Hilltop Dairy Twist whose sign boasted 40 flavors of soft serve. 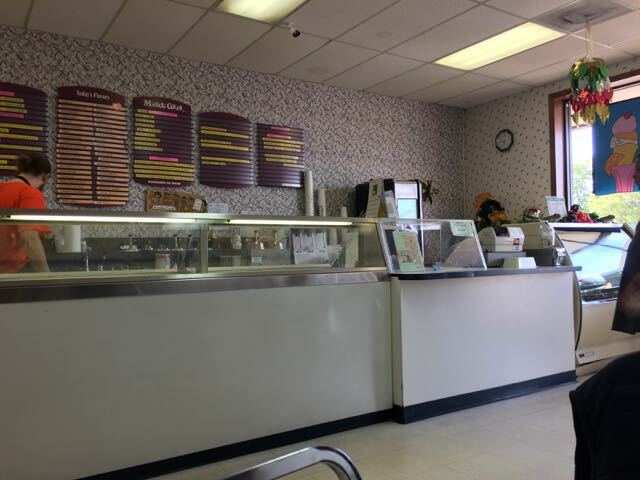 It looked exactly like the kind of ice cream stand I had been searching for! 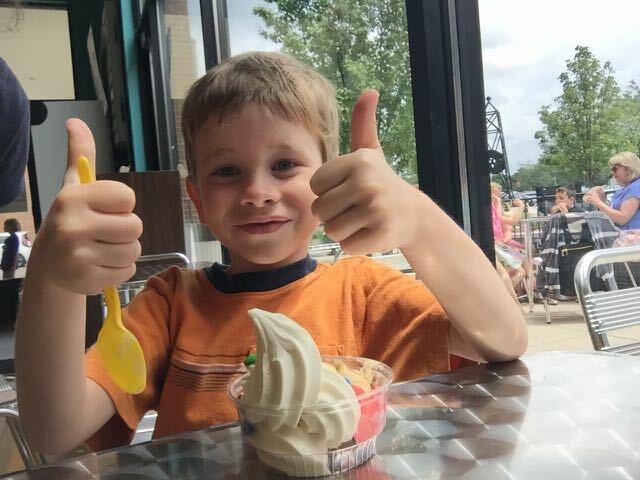 You can get almost any flavor you can imagine swirled into soft serve ice cream, plus a plethora of other dairy stand food and treats! 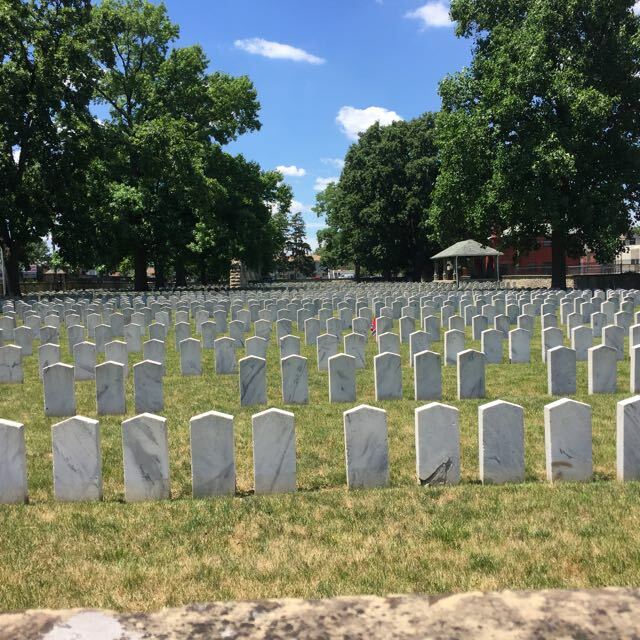 Plus, Hilltop Dairy Twist has the unique position of being next to Camp Chase Confederate Cemetery so you can experience some Civil War history as part of your trip! Cash only! 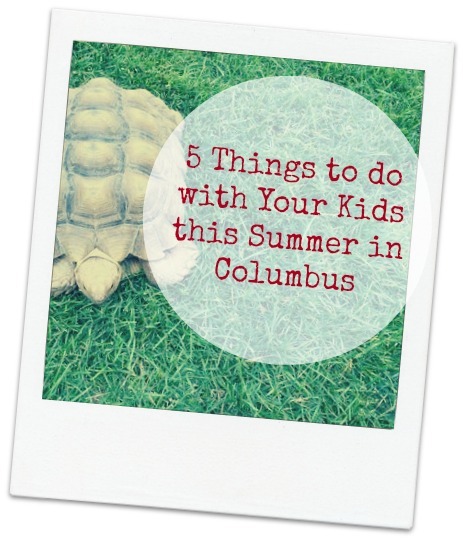 What’s your favorite ice cream spot in Columbus?  Make sure to follow What Should We Do Today? on Facebook, Twitter, Pinterest and Instagram and never miss a post! 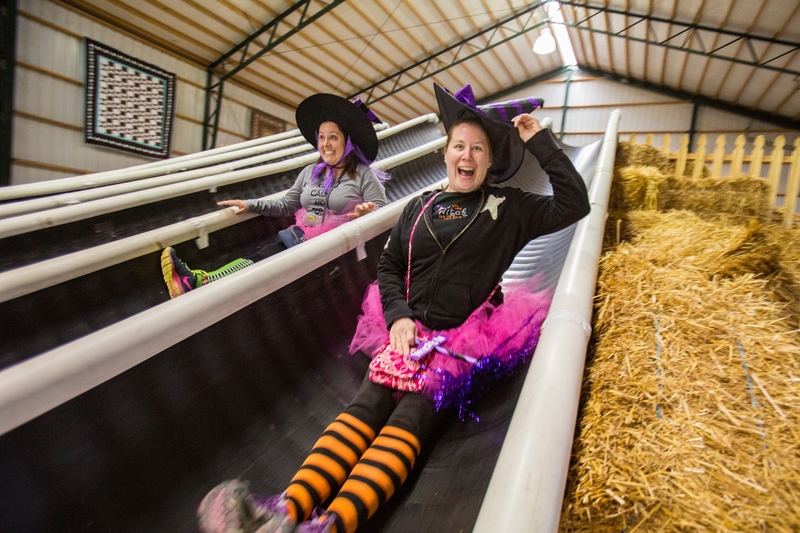 Mark Your Calendar: Witches Night Out at Leeds Farm!